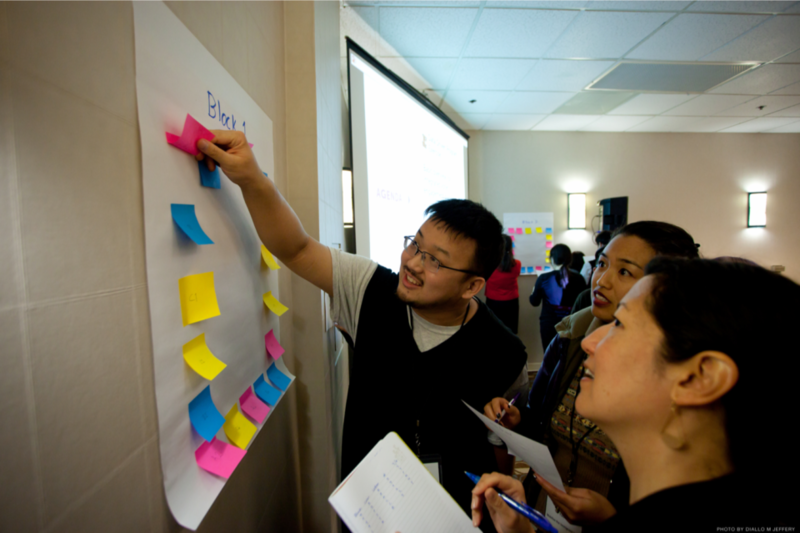 We held the inaugural convening on February 4-6, 2015 in Oakland, California. This convening reflected our belief that growth happens in moments, and through time. And all learning, big or small — whether from our own life experiences or by training and coaching from experts in the field are both essential. All that we do each day contributes to the building of both our organizations and community, and furthers the shared goal of strengthening AAPI civic participation within a vibrant America democracy. It was designed first and foremost in response to requests from our grantees to meet and share, dialogue, and learn from on another’s work. Whether the organization has been doing this for 20 years or two, all were present to hone in on their engagement skills, develop a shared analysis of 2014, and to explore what can unite AAPIs and the New American Majority in the year ahead and beyond.